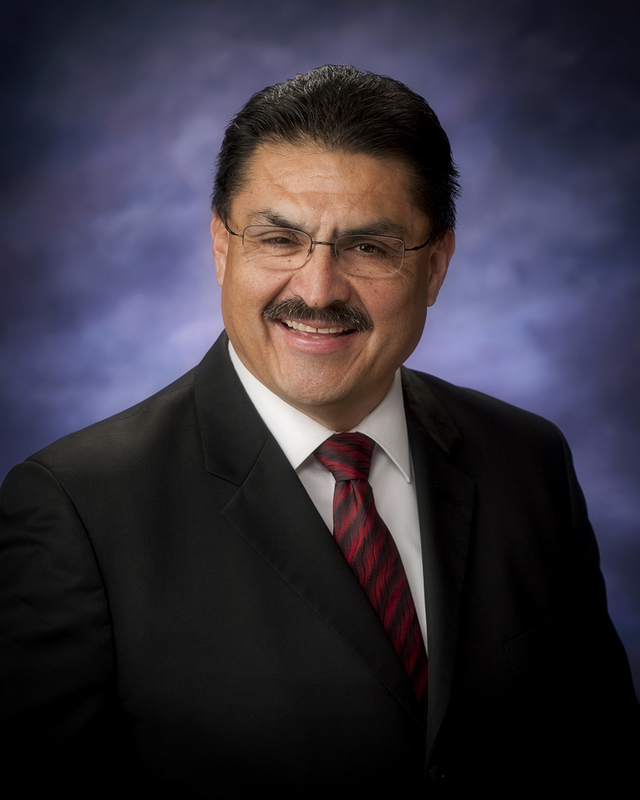 Clinician Biographical Information Mr. Jaramillo has been in education for thirty-one years; currently the Principal at Etiwanda H.S. in Rancho Cucamonga, CA. His music teaching background includes twenty-one years at Etiwanda H.S., where his program gained a national reputation in all areas, earning honors as a finalist at BOA Grand National Championships, performances at the Montreux International Jazz Festival, a performance at the BOA National Concert Band Festival, and participation in the Tournament of Roses Parade. He has served as a guest Conductor and adjudicator in the areas of Concert, Jazz and Marching Bands throughout the U.S. He was presented the Honorary Life Award from the Southern California School Band and Orchestra Association (SCSBOA) in 2009 and has received the “Golden Bell Award” from the California State School Board Association. Mr. Jaramillo was awarded the “Sudler Shield of Merit” by the John Philip Sousa Foundation and currently serves as the President of the SCSBOA. 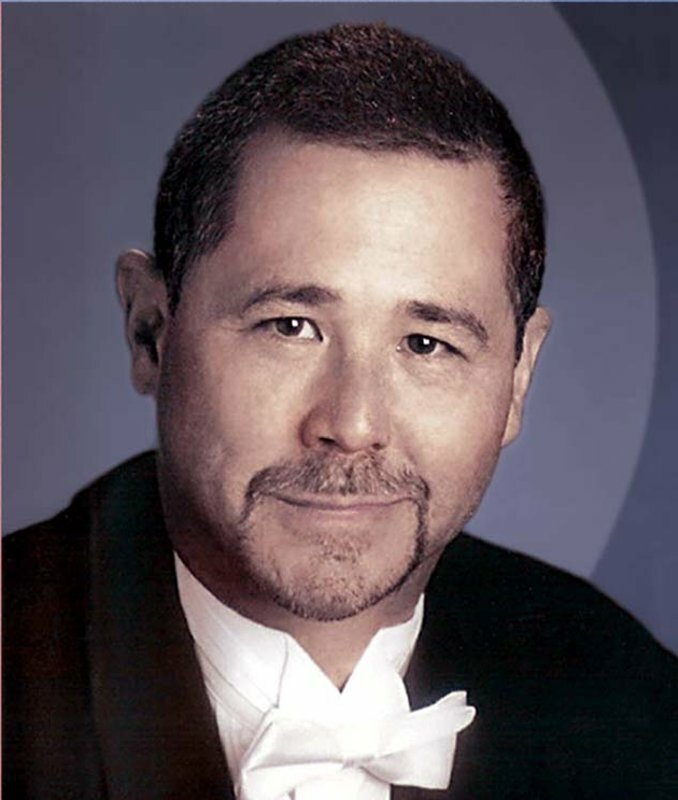 Second Clinician Biographical Information Richard L. Saucedo is Director of Bands and Department Chairman at Carmel High School in Indiana, retiring at the end of the 2012-13 school year after teaching for 31 years. Under his direction, Carmel Bands have received state and national honors in all areas, having performed at the BOA National Concert Band Festival three times, named Indiana State Champion Concert Band in 1999, and performed at the Midwest Band and Orchestra Clinic in 2005. The Jazz Ensembles have won numerous awards at festivals and the Marching Band was named BOA Grand National Champions in 2005 and 2012. Mr. Saucedo has been “Bandmaster of the Year” and was named “Outstanding Music Educator” in 2010 by IMEA. Richard is a freelance arranger and composer, having released numerous marching band arrangements, concert band and orchestral works and choral compositions. He is currently on the writing staff for Hal Leonard Publishing and travels throughout the country as an adjudicator, clinician and guest conductor. Third Clinician Biographical Information Jeff Swensson has served public school students and colleagues in a variety of roles over the past 40 years. As a teacher, assistant principal, principal, assistant superintendent, and most recently, as Superintendent of the Carmel Clay Schools in Carmel, Indiana, Jeff’s leadership in schools and school districts has supported and encouraged the great work of countless performing arts teachers. From service on the Board of the Indiana State School Music Association (ISSMA) to leadership in local band booster organizations in his role as a parent, Jeff has seen the friendships, learning, musicality, dedication, problem-solving, excellence, and teamwork that emerge when students participate in the performing arts. Jeff shares a variety of practical and inspiring perspectives about how to grow and nurture the collaboration between educators and parents that’s a vital catalyst for the success of the performing arts in schools. A graduate of Amherst College, with an MAT from Northwestern University and a Ph.D. from Indiana University, Jeff is now an Assistant Professor at Ball State University in the Educational Leadership Department. Fourth Clinician Biographical Information Beth Potter is serving her second term as President of the Lafayette Band Association (LBA) in Lexington, Kentucky. She has been involved as a volunteer with the LBA for seven years and has held multiple positions on their Board of Directors. Beth is a very strong advocate for music education and has extensive experience working with parents and educators. She has served multiple terms on the Site-Based Decision Making Council and as a PTSA President. Beth and her husband, Jack, reside in Lexington, Kentucky with their three children.